The difference between an orthodontist and a regular dental professional is that the orthodontist has spent an additional two to three years honing his or her craft. Many have also gone to extra workshops to learn techniques like Invisalign or information about new orthodontic procedures and technology. Many orthodontists offer a free consultation which consists of an examination and a conversation between you and the orthodontist. The orthodontist discusses the work that needs to be done as well as the cost of the care. The orthodontist should allow time to answer questions and provide explanations about why the recommended treatment is necessary. A good orthodontist will be able to put you in touch with other clients so you can talk to them about his or her services. Another way to get good references is to talk to family members or friends who have used an orthodontist. Ask him about his or her strong and weak areas. Ask them if they would use the services of that practice again. Many people are nervous about dental procedures. Furthermore, your relationship with your orthodontist will last several months if not years. You want to find a professional who treats you with kindness and respect and who puts you at ease. One characteristic you may want to look for is empathy, or the ability to understand how others are feeling. Compassion is also a useful quality. During your consultation, pay attention to how you feel about the orthodontist. Are you comfortable talking to him or her? Does he or she put you at ease? If not, you may want to work with someone else. Occasionally, your orthodontist will run late due to an emergency or meet the needs of another patient. On the whole, though, your orthodontist should keep to his or her schedule and see you at the appointed time. This is a matter of convenience as well of respect. If your orthodontist is habitually late, you may want to find another professional. Another option is to ask for an appointment early in the day before the orthodontist has time to fall behind. Your orthodontist should give you an estimate of cost during your initial consultation. He or she should also keep you up to date if anything changes during treatment. 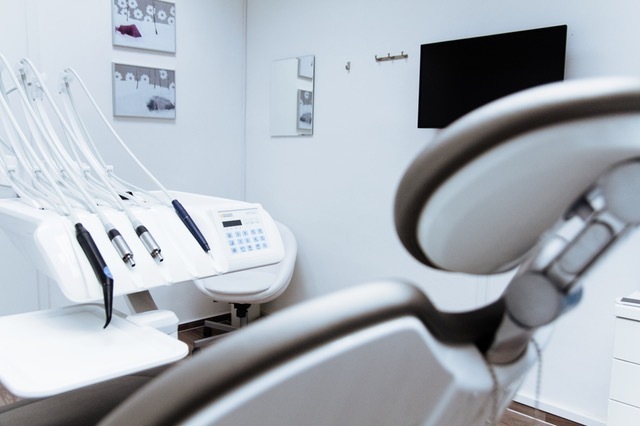 Most dental insurances do not cover orthodontic services, but it’s worth asking your orthodontist if he or she accepts any type of insurance. If you can’t afford all of your care at once, the orthodontist may be able to arrange for you to spread out your treatments and pay a little at a time. Orthodontics is an ever evolving field. For instance, do you remember the “train tracks” braces of the 1980s? Today, braces can be designed to match the color of your enamel so that they are practically invisible. A good orthodontist never stops learning. Not only does he or she go through an intense residency, he or she also attends continuing education classes. This ensures that you receive the most up-to-date options and treatment. It is also a positive if the office uses up to date electronics such as paperless billing. Each profession has its own lingo. Your orthodontist should be able to communicate in a language that is clear and that makes sense to you. If you don’t understand what your orthodontist says, ask him or her to explain further. Keep asking until you are sure you understand. Again, communication skills are something you can assess during the initial consultation. Adults aren’t the only people who seek help from orthodontists. Children, too, sometimes need their teeth straightened. If you are looking for an orthodontist for your son or daughter, have your child sit with you during at least part of the consultation. Afterward, ask him or her about his or her opinion of the orthodontist. It may be a good idea to sit in on the first treatment or two to observe how the orthodontist interacts with your child. Our patients are treated using the Wow Smiles system that creates a unique smile for your face. Call us today at 415-459-8006 to schedule your first appointment.